Does the thought of riding a bicycle on city streets during rush hour traffic seem horrifyingly dangerous to you? If so, you’re definitely not alone. For many Americans today, the fear of riding a bike in traffic is one of the top reasons for choosing not to commute by one. Many first time bike commuters initially have the idea that riding a bike in traffic is more dangerous than driving a car, and find it to be a daunting task. Even I had moments when I would get butterflies in my stomach at the thought of cycling to work, and end up taking the bus instead by talking myself out of it. A lot of us become paralyzed as we think about such questions and statements as above. And, to make matters worse, we always seem to hear from news outlets about confrontations between cyclists and drivers. Then there are those hit-and-run stories we frequently hear about as well, which further encourages most of us to keep the bikes stored and collecting dust in our garages. Like with any new experiences in life though, there will be that initial fear to create doubt and question your ability to take a step forward. The trick, however, is to not let such fears completely discourage you from experiencing the joys of commuting in a bike, but to use it to build your self-confidence as a cyclist. For me, my early fears of cycling led to days of watching various bike safety videos online, reading up on cycling forums, and studying current state laws regarding bicycles before I gained enough confidence to start commuting daily on my bike. As most experienced cyclists will agree, with the proper education on how to correctly maintain and operate a bike, as well as learning the correct way to deal with everyday situations you’ll face on city streets, there will eventually be nothing for you to fear. With knowledge and experience, you too can easily quell your fears and be the confident bike commuter you’ve always dreamed about being. 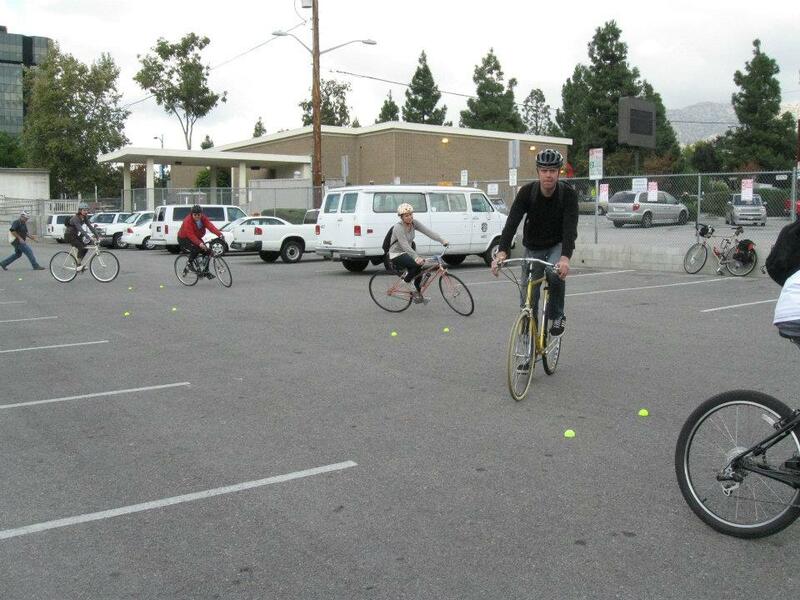 And, as luck would have it, there are several classes throughout the Greater Los Angeles area that you can take to develop the skills you need to be a confident urban cyclist. With an extremely supportive cycling community out there to help you, there’s no reason for you to have to go through it alone. If you’re interested, check the list below for classes and workshops that are being offered. Take a class, get confident, and safe riding! The same safety and confidence approach is done with new motorcyclists these days as well at motorcycle safety programs. For those who are interested in something that has the agility of a bicycle but faster, but with the cost efficiency that is better than the bus or the car, you also have the motorcycle or scooter option. Yes, I know first timers may get butterflies in your stomach to think of sharing the roads on a motorcycle that travels at the speed of other cars. We get that concern from first time bikers or those who are considering getting a motorcycle endorsement on their licenses at many safety courses. But in many places around the world, the motorcycle is actually the preferred way of getting around the town. It’s popularity is steadily rising in many US cities as well. But if you can handle driving a bicycle on the roads, motorcycle riding can be safe if you know the right skills. Knowing the do’s and don’ts of riding a motorcycle and understanding basic motorcycle safety will bring in a whole new perspective to motorcycles as a true alternative to getting around town. The only way to become a confident and safe rider is to ride. Practice makes perfect. Start out on weekends, using quieter roads, know alternate routes, know the rules of the road and be aware of your surroundings, including road conditions; know how to handle your bike, have the bike repaired and maintained, be prepared for everything – DON’T RIDE and TALK ON YOUR CELL PHONE. 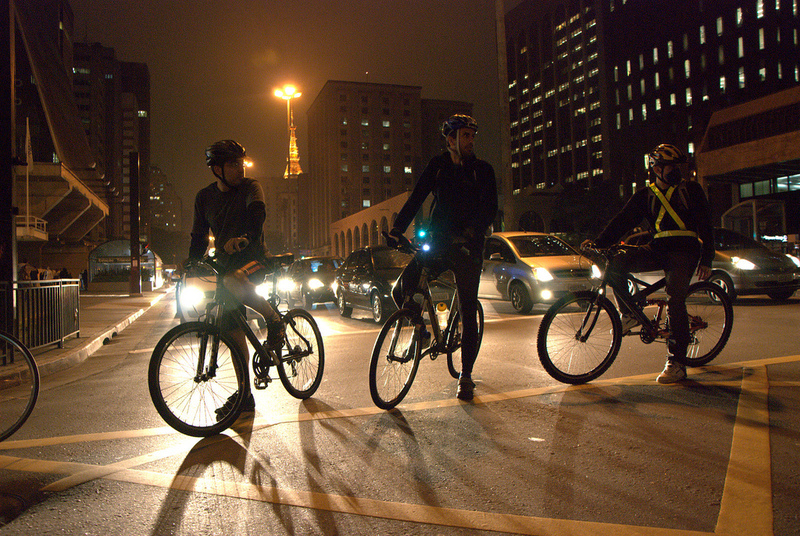 Be courteous of drivers, pedestrians and other cyclists. Yes, there are idiot drivers, just as there are idiot cyclists and pedestrians. Don’t take it for granted that a driver sees you, don’t take it for granted that you have right of way; even if you do. Treat other road users as you would want to be treated, ride smart and be safe.